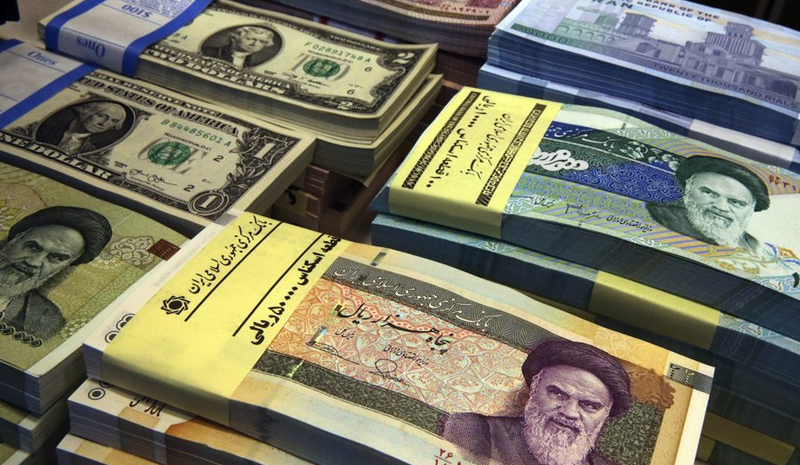 The Iranian currency saw one of its biggest one-day drops yesterday as the Rial slid down 14% in value, now to be exchanged for some 110,000 Rials for one US dollar. The monies favored by the Mullahs is now down some 50% ever since US President Donald Trump announced in May of this year that he would be pulling out of the Iran nuclear deal. Although the official exchange rate, as announced by the Iranian central bank still stands at around 44,000 (compared to 30,000 in January), everyone in Iran knows that this is a purely ‘artificial rate’ aimed to instill trust in the Theocratic regime. The websites tracking the currency in the country of 80 million say that the current levels of exchange on the open market are now between 106,000 and 112,000 Rials for one US dollar. The Persian currency started its rapid descent approximately one month before the White House administration announced stopping its support for the 2015 Iran nuclear deal, in which six world powers lifted sanctions on Tehran in return for the curtailment of its nuclear program. Washington is now expected to reimpose the full range of financial measures as from August 6th. In a further blow to the Theocratic Islamic regime, Iranian citizens are converting their bank savings into US dollars knowing that this is a steadier currency. The deep economic crisis that the country is currently experiencing will likely worsen due to the new sanctions. Already at the end of June, shopkeepers at Tehran’s grand bazaar went on strike against the falling currency which wiped away their profits. Luckily for the government, citizens were more concerned with the Iranian team’s performance at the Russia 2018 World Cup at that moment. However, social media reports now show that many shopkeepers in Isfahan, Iran’s second biggest city, went on strike since this weekend in protest against the government’s handling of the crisis. Meanwhile, the Mullahs, expecting large protests, have positioned riot police all over the country on strategic sights. It dropped 145++ even after Obama Flew in $44 Billion to shore them up.